The three big camcorder players (Canon, Panasonic, Sony) all announced new top-of-the-line models at CES this year. Some have chosen to simply tweak to their 2011/2012 offerings - while some are offering more significant upgrades. The big news, in my view, is that JVC, which has tried for many years to crack the top tier, may finally have broken through with a game changer. First the tweakers - starting with Canon. 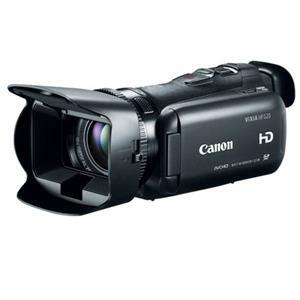 Since 2011, Canon's HF G10 has been the low light consumer camcorder champ. This camera has held its value at over $1000 MSRP against assaults from the Panasonic X900 in 2012 and the Panasonic TM900 before it. I guess Canon figured - 'why mess with success?' - so they say they've improved the low light sensitivity of the HF G20 over its predecessor, but not much else. No 1080/60p - and they've dropped the HF G10's LANC terminal. Price stays about the same as the HF G10's current price point. If you want a tweaked HF G10 with better low light sensitivity (according to Canon), you can pre-order the HF G20 from Adorama for $1099 here. At a slightly higher price point (for now) is the new Panasonic HC-X920. Again, the major emphasis is on improving the low light performance of the predecessor HC-X900. Panasonic claims to have done this with backside illuminated sensors (BSI). I shoot with the 2011 model, the TM900, which does a good job in low light. The X920 is supposed to be even better. The 900 series cameras have been solid performers, with a great feature set - 1080/60p and 24p; manual control of exposure, focus & sound level; a standard cold shoe for mounting accessories; and other features that differentiated them from the competition. Their only second place finish has been in low light performance. If backlit chips can fix that, this could make the X920 the class leader. You can pre-order the HC-X920 directly from Panasonic here for $1199.99. Sony's new flagship is the HDR-PJ780V. This camera fixes two challenges Sony had with their predecessor flagship - lack of a standard cold shoe and no manual control of audio. Now, with full manual control of audio levels (and improved audio quality), and Sony's new Multi Interface Shoe (which accepts standard cold-shoe mounted accessories). they have removed the biggest limitations of their previous flagship models. You can pre-order this camera for $1599.99 at the Sony Store. This camerahas everything on my wish list except weathersealing, XLR inputs and depth of field control (although the f1.2 max aperture offers some interesting shallow DOF possibilities). And the $1000 price is reasonable, when measured against the competition. Without the viewfinder, the PX100 is $300 less than a body-only GH3 and only $450 more than the FZ200 bridge camera. This could be both a "video DSLR killer" and a "high-end superzoom killer". 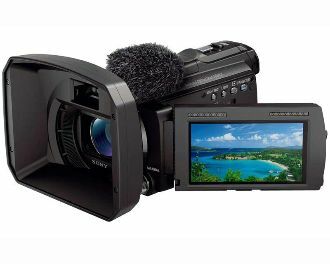 If the image quality is competitive with the $1200 X920, $1600 PJ780V and/or $1100 HF G20, it could be a "flagship camcorder killer" too. Looks like there's a new camcorder on my shopping list.